Early in the scriptural record, Adam and Eve find themselves cast out through the gates at the Garden of Eden. In the Book of Revelation, Christians are promised entry through the gates into the New Jerusalem. 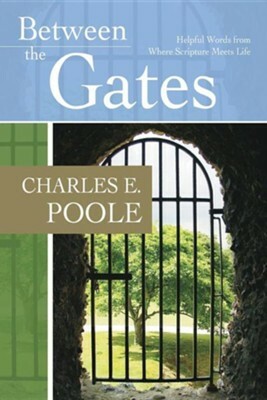 Chuck Poole is known by the many readers of his books as one who speaks to the truth of grace-filled living through the struggles of this world. As with Beyond the Broken Lights and Don?t Cry Past Tuesday, Poole's latest book will both challenge and comfort as you consider this journey we travel "between the gates." I'm the author/artist and I want to review Between the Gates: Helpful Words Where Scripture Meets Life.